I finally found time to listen to the first season of the acclaimed podcast Serial. Like millions worldwide, I found myself captivated and couldn’t stop listening. When I reached the final episode, however, I couldn’t keep myself from being an educator. I knew I had to find a way to incorporate this unique form of storytelling into my classes. Thankfully, others in the profession also saw the educational value of the podcast. I connected with Michael Godsey, an English teacher who opted to teach Serial in place of Shakespeare and, building on his experience, I utilized Serial as a case study of the reporting process and effective storytelling in my 21st Century Journalism class. Using Serial as a case study was particularly effective for several reasons. From the first episode, my high school students were enthralled by Serial’s dynamic tale of real-world characters caught in a murky story of love and murder. And because they were the same age as the central figures in the investigation, it was extremely relatable. They were dealing with many of the same issues: relationships, parental expectations, and school work. With each episode of Serial advancing the investigation, students could listen to the chapters in easily digestible episodes that offered multiple points of view with rapid transitions between characters. This encouraged attentive listening skills in students without being prompted. They were simply engaged with the story. While the investigation unfolded over multiple episodes, several students were so engaged that they binge-listened to the podcast, much like they would their favorite series on Netflix. Essentially these students were working ahead and engaging in classwork because they wanted to, not because they were asked to. In the world of Common Core State Standards (CCSS), using podcasts as a primary text is a great way to incorporate multiple 21st-century skills. Serial is a content-rich nonfiction piece of narrative digital media, which is one of the major shifts in CCSS for English Language Arts and Literacy. After each episode, my class had productive discussions that addressed the CCSS Anchor Standards for Reading. We were able to “read” the text closely to determine the central ideas surrounding the case and the multiple perspectives offered in various episodes. We constantly examined the craft and structure of the podcast by evaluating the various points of view as well as the credibility and bias of the narrator and central figures. Because very few of the students were familiar with podcasts before we started listening to Serial, we were also able to specifically evaluate how podcasts differ from traditional media. How is listening to a podcast different from reading an article or watching a video on the same topic? What makes this type of media unique? What hinders this type of storytelling? Additionally, students started to independently research the case featured in Serial, which exposed them to new texts with various levels of complexity, and many are still following recent developments related to the central character. The CCSS helped define our summative project at the end of the series. As a journalism teacher who focuses on digital media and technology integration, I was interested in moving beyond the typical paper to see if we could produce a podcast. Having zero experience with podcasting, we went with the most direct route. Students recorded their podcasts using the built-in microphone on their headphones. They saved the recorded the audio in a voice-memo app or directly into Soundcloud. Before recording, students were first required to draft an outline of talking points that they would discuss. They would have to take a position on Serial, whether they believed the central character to be innocent or guilty, and support their claims by citing specific pieces of evidence from the podcast. Additionally, they would have to script an introduction that mimicked Serial’s narrative style. Then we moved to the production piece of the project. Many of the students were more comfortable expressing their opinions and citing evidence in their podcasts than in a group discussion or a written paper because they could record multiple drafts before submission and engage with their partner’s ideas and opinions. What resulted were content-rich discussions that included engaging dialogue and debate between students and continually referenced the text. While I found this classroom experiment successful, I am going to make several changes when I teach Serial again this year. First, listening to each episode of Serial in class was time-consuming and took up a significant portion of the semester that I usually devote to other areas of my curriculum. This year I plan to introduce the first episode in class and then assign listening to one episode each week outside class, which will give students ample time to respond to the prompts. At the end of the week we will have a discussion based on that week’s episode. Additionally, I’m going to place greater emphasis on the technical aspect of production. We were able to acquire several microphones over the summer, which should increase the quality of our audio. I will also attempt to use Audacity, a free audio-editing software so that students can clip pieces of their audio together and delete awkward pauses, rather than record their conversation straight through into Soundcloud. If Serial doesn’t fit the needs of your content there are still multiple ways you can incorporate podcasts into your classroom. Instead of articles, find current events or a podcast related to your specific content to share with students. Listenwise, which can help you bring compelling nonfiction to the classroom, offers curated public radio podcasts and lessons for ELA, Science, and Social Studies, as well as current events and graphic organizers. The service is free to teachers and integrates with Google Classroom. Other resources include Embedded, an NPR podcast that takes an in-depth look at current events and issues, and the public radio program This American Life, which features compelling stories on a specific theme each episode. Incorporating podcasts into your lessons and daily content can yield some interesting results. Try it for yourself and see how your students react. You might find that simply listening is an effective tool to engage your class. If you have advice, ideas, or thoughts please leave a comment or connect with me to continue the discussion. Great article. I think this might fit in after a HS unit on The Odyssey, since we will emphasize the oral tradition of story telling. 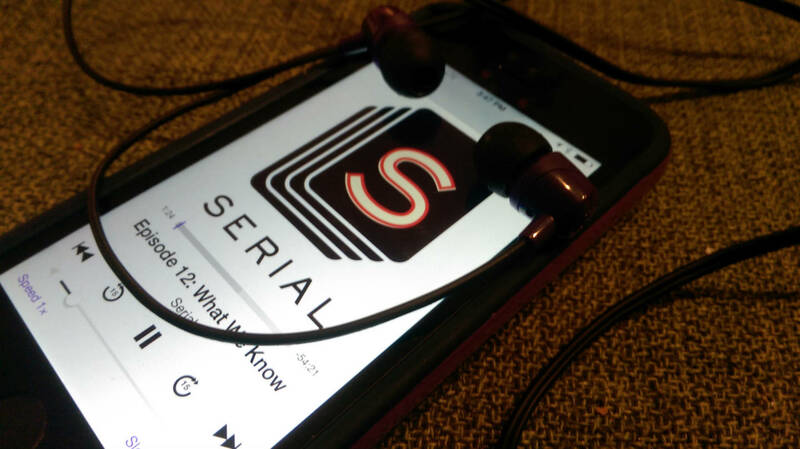 It could be great to follow up that ancient story with Serial, which is so current. I was already hoping to have the students create their own stories, but I’m still not sure what direction to go in with those stories. Thanks for getting the wheels turning! John Walter is a journalism educator and student media adviser at Junction City High School in Junction City, Kansas and is currently in his third year of teaching. John is a graduate of Kansas State University where he studied journalism education and American ethnic studies. He focuses on 21st-century digital media skills and social justice pedagogy. John is an active member of the Journalism Education Association, Kansas Scholastic Press Association, and the Association for Career and Technical Education. Connect with John on Twitter at @John_MWalter. Prev Ten of the Most Successful Presidential Campaign Ads Ever Made (with Lesson Plan) Next Should Athletes Use Their Public Platform to Make Political Statements?